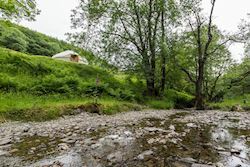 Situated 25 minutes off the tar road on a working organic farm, Eco Retreats is an off-grid, wifi free, eco forest retreat with accommodation in yurts and tipis. 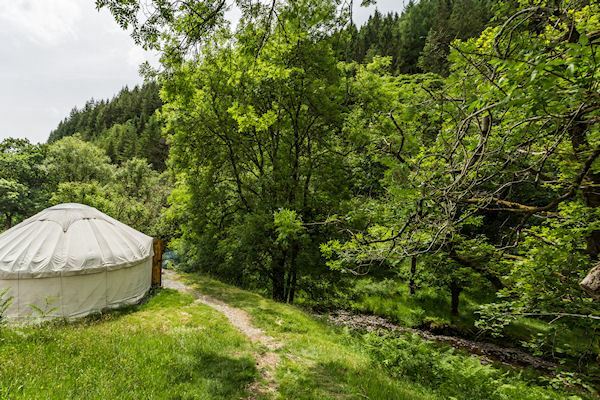 Here you will feel far away from the stresses and strains of modern day living and have the opportunity to rediscover the simple pleasures of life as you relax into the rhythms of the forest. 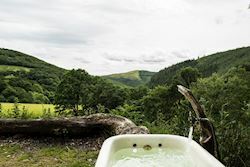 Across the 1300 acre farm deep in the Dyfi forest, Eco Retreats offers only 5 units spread over 50 acres to maintain your privacy and the beauty and tranquilty of the environment. The yurts and tipis are comfortable and well-equipped with wood-burning stove and cooking facilities. Each unit is situated in its own private area, and has its own private eco-loo and shower and popular outdoor wood-fired bath. Outside, there are seating areas for campfires and since there’s no electricity, the yurts are lit at night with candles in lanterns. Every year, Eco Retreats welcomes many return guests, many of whom fall in love with the forest and come back year after year to this peaceful sanctuary, to rediscover their favourite spots and breathe again. Give your loved ones the gift of peace, true relaxation and reconnection this festive season! Christmas gift vouchers now available offering you the chance to gift your friends and family a 2-night stay at this unique forest retreat. Vouchers redeemable in any unit, any weekend / mid-week dates during 2019 season. "This place is magical ... to have a relaxing bath right in the woods is the stuff of dreams"
"It has been the perfect place to reconnect with each other without the pressures of technology and the rat race"
Eco Retreats is passionately committed to ensuring the conservation of the beautiful forest in which it is located, and harnessing its gentle power to captivate guests and help them to reconnect with themselves, with each other and with nature. Wherever possible, products used or offered to guests are fair trade, organic and eco-friendly; and purchases are made thoughtfully with the aim of supporting companies that are working to make the world more equitable and conserve its valuable natural resources. 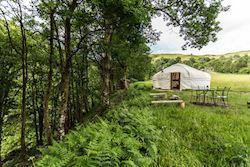 Eco Retreats’ vision is that the ripple effect of our work may spread far and wide as guests leave refreshed, happy, grounded and at peace – and inspired to live a little more consciously every day. We are pleased to offer members a 15% discount, simply use the code LIFESTYLE for online bookings via our website.